The Vatican Information Service has just released an unusually detailed communique relating to a meeting between Pope Benedict XVI, Cardinal Christoph Schoenborn and Cardinal Angelo Sodano in which the Austrian cardinal was made to explain public criticism he had levelled against Sodano. After Cardinal Sodano made a surprise speech at Easter criticising the media’s reports about abuse as “idle gossip”, Cardinal Schoenborn publicly accused the former Secretary of State of having deliberately obstructed an investigation into accusations of child abuse against Cardinal Herman Groer of Vienna. 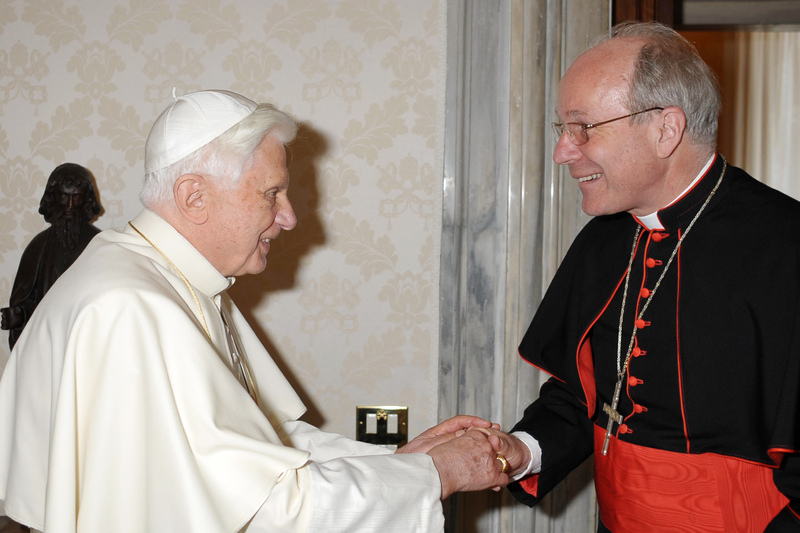 In today’s meeting, Pope Benedict seems to have done several things: he has reminded Cardinal Schoenborn that the disciplining of members of the hierarchy is the responsibility of the Pope, he has clarified Sodano’s controversial comments about “idle gossip” and has brought the two men together. Interesting.